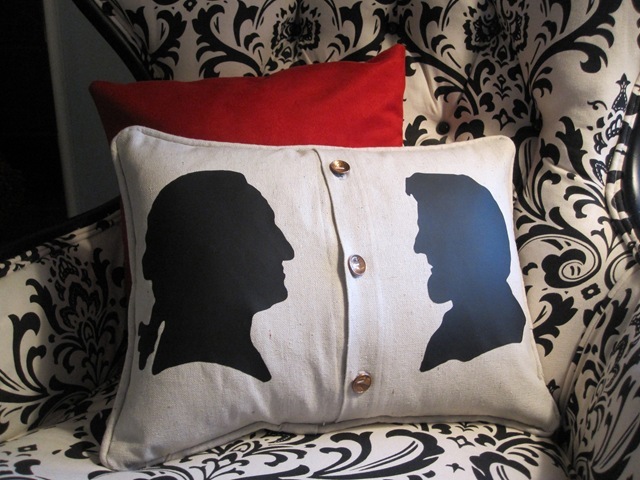 In honor of President’s Day I thought I would show my love of our country by making a patriotic pillow of George Washington and Abraham Lincoln with penny button details. Now this pillow doesn’t get much use. However, I do pull it out for the week after Valentine’s Day and again near the 4th of July. And everyone always comments on how crazy it is much they like the pillow.